A powerful brand is only as good as the target market’s awareness of its existence and qualities. Branding is not done in a vacuum; it is aimed at a particular segment of the market. Every branding exercise should be culture specific. Former British Prime Minister Tony Blair once described Africa as “a scar on the conscience of the world.” This goes to tell the how infamous Africa’s brand is across continents. Recent events on the African continent are however beginning to change people’s perception of Africa. Images of war, famine and tyranny are no more exclusively synonymous with Africa. The improving image of Africa is evidenced and fueled by the following events: the successful hosting of the world cup by South Africa in 2010, US. President Barack Obama’s visit to select countries in Africa, the recent Arab spring that sparked off in Tunisia, the fall of Former Libyan president Gadhafi. Nobel laureates such as the late Wangari Mathai of Kenya and Liberia’s Ellen Johnson Sirleaf, just to mention a few have also brought honors to the African continent. The improving image of Africa coupled with its widely underdeveloped market and human as well as mineral resources continue to attract new brands unto the African market. Described as the final frontier in some circles, Africa is a very promising brand and market for any astute businessman or marketer. Numerous global brands continue to flood the African market. Their attempts at marketing and creating brand awareness have however been fraught with challenges due to a lack of an understanding of the African market. Africans tend to congregate around certain activities which are peculiar to the African culture. These should be in sharp focus for any brand awareness campaign. 1) Research: Alexander Graham Bell(Inventor of the telephone), said that “Before anything else, preparation is the key to success.” This emphasizes the importance of preparation and research in particular in any field of endeavor. To be successful at increasing your brand awareness in Africa, you need to know, understand and appreciate your target market. You must know their needs, wants and desires. Knowing their needs, wants and desires will help you design a product they find useful to their lives. 2) Strong product: Coming from a good research exercise, you are now able to develop a winning product for your brand. For example, research will probably reveal to you the most appropriate colors, for your brand, which will appeal to your target market the most and also create an emotional attachment with it. 3) Deliver on your promise: The measure of value placed on a brand or product is seen in how much you are seen to deliver on your brand promise. If your promise is to deliver timely service, at the very least, just do that. Only then can you delight your customers who will increase your brand awareness by word of mouth especially in Africa where interpersonal bonds are stronger. In Africa, people tend to at least rely on advice from friends and acquaintances principally because of the lack of data and or access to it with regards to product quality. 4) Language: Africa is largely unlettered in the western sense of the word. While the US. For instance has a literacy rate of 99%, the figure is 63% in Sub-Saharan Africa. This requires the use of simple language and more vivid imagery. Indigenous languages should be employed to increase your brand awareness. Also, it should be ensured that brand names and or symbols do not connote negativity in the local African dialects. 5) Consistency: One important ingredient in increasing your brand awareness is consistency in message and product quality. Put out the same message and keep repeating it. The quality of the product behind the brand also goes a long way to increase your brand awareness. It is important to be consistent on the African market because the continent is awash with new brands. 6) Corporate social responsibility(CSR): According to corporate social responsibility expert Mallen Baker, “CSR is about how companies manage the business processes to produce an overall positive impact on society.” It goes to say that your operations should have a positive impact on the society at large and all stakeholders of your brand. Very often, CSR activities focus on philanthropy leaving out all the other aspects. It is also important to be ethical and that is where most corporate brands fall short. Issues of ethics are at the center of the long standing crisis in the Niger delta of Nigeria. This gave rise to the formation and activities of armed groups such as the Movement for the Emancipation of the Niger Delta (MEND). Activities of such groups affect not only the communal peace, but also the operations of the oil exploration companies involved. Efforts must therefore be taken to fully fulfill one’s Corporate Social Responsibility. 7) Festivals and Dance: Africans are reputed for and pride themselves in having an immensely rich culture. Cultural activities such as festivals and dance are rallying points for the African people. Brand awareness can therefore be increased by using these media. A case in point is the Malta Guinness Street Dance Africa competition which has no doubt increased the public’s awareness of the Malta Guinness brand. In such instances, you get to engage with your customers on a more personal basis which is good for increasing your brand awareness. 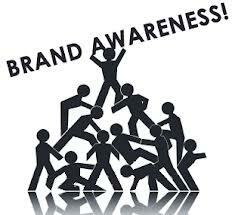 Brand awareness is very important to the continued survival of any brand anywhere in the world. To be successful at brand awareness in Africa, you need to have a reasonably deep insight into the minds of the people, delight them with a winning product and empathize with their way of life. I've enjoyed reading this and think you are really good at what u do. l would suggest u do a presentation on this topic during NSBE-GHANA's 4th Annual leadership conference to be held in Koforidua...this august. I do agree with all the concepts you've introduced to your post. They're really convincing and will certainly work. Many thanks for the comments. Will definately keep that in mind. Cheers! Hola! I've been following your website for some time now and finally got the bravery to go ahead and give you a shout out from Austin Tx! Just wanted to tell you keep up the excellent work! Your style is very unique compared to other folks I've read stuff from. Many thanks for posting when you have the opportunity, Guess I will just book mark this site. Hello to all, it's really a fastidious for me to go to see this web page, it contains helpful Information. looks fine however, when opening in IE, it's got some overlapping issues. I merely wanted to give you a quick heads up! Other than that, fantastic blog! Nice post. I used to be checking continuously this blog and I'm inspired! Extremely useful information specially the ultimate section :) I maintain such information much. I was seeking this certain information for a very lengthy time. Thanks and best of luck. a lot of individuals are looking round for this information, you can aid them greatly. I don't understand the reason why I cannot subscribe to it. Is there anyone else having identical RSS problems? Anyone that knows the solution can you kindly respond? Thanks! !